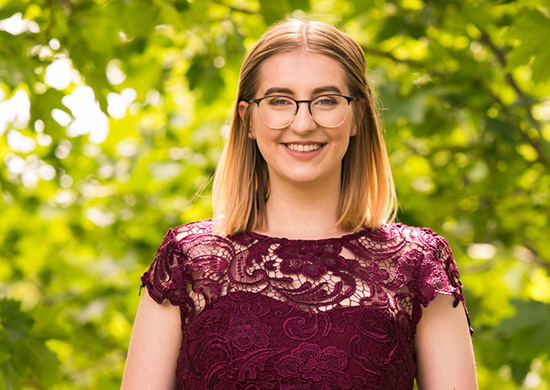 We are pleased to announce that Gemma Ballantyne is our 2019 Cashin Scholarship winner. She's worked at both Anthony Wilding and Yvette Williams, where her colleagues say she's been a star behind the counter answering all those tricky queries! Gemma has been part of the Ryman family since 2016, when she successfully applied for a job as a part-time receptionist at Anthony Wilding Retirement Village in Christchurch. She says she loved the job from the very start. In 2018 she began her first year at university, studying health sciences at Otago University. She worked at Yvette Williams Retirement Village in Dunedin part-time to support herself. She found her first year tough, and had some health issues during the year, but had a successful first year. She has opted for a pharmacy degree, which is another four years at university followed by an internship. Her dad works for St John Ambulance and her mum works at a medical practice, so healthcare is in the family. Gemma's looking forward to starting back at university and says the scholarship will be a big help with a busy year of learning ahead. "I'm thrilled to win and I'm honoured that the Cashin family selected me,'' Gemma says. The Cashin Scholarship was set up in 2012 in memory of Mike Cashin, who was a Ryman director at the time of his death in 2010. Each year Mike's family select the winner for the $5,000 award. The scholarship is open to Ryman employees and their families who are taking on tertiary study. Mike was a huge believer in the power of education to I improve lives, and the scholarship is intended to provide support for people who need it. Blair Cashin, Mike's son, said the family wished Gemma all the best with her studies. There were 100 applicants this year, a record for the scholarship.